One of the aspects of life in Lebanon is the fact that your senses are constantly bombarded with stimuli. Walking in the street a few steps, the stink of a garbage dump will be followed by the heady fragrance of a jasmine bush; you never know what to expect; you accept it as a reality. To go from the general to the specific, I was in the garden the other day and discovered this fruit; or at least I think it is a fruit. It is a lovely orange color, and inside the flesh is similar to a large raspberry. I hope it does not contain a potent poison, as I had a few to try; pleasant taste, mildly sweet, berry-like; the climbing vine has big purple and white flowers. I tought you will tell us:) unfortunately – no idea! ça ressemble à la fleur de passion. Est ce que c’est un fruit? Yep…I think it is passionfruit. Wow joumana you are brave! i would never have eaten something i found in my garden. Looks delicious though…. Enjoy! It looks like a passion fruit variety. Looks like passion fruit of the passion flower vine. It looks like a peach, but looks beautiful..
Hi dear, I’m here after long time, looks like I’ve missed on quite a few wonderful posts here, will check them out slowly, now I’m curious to know this fruit….I don’t think it’s loquats, as far as I remember they have flesh/pulp & not pomegranate kind of seeds…but it’s been long time since I had loquats….will come back to check, take care..
We have what could be a vague cousin of that fruit here in Oz, but your pretty brave tasting it all the same. If its like our Loquets (I don’t think that’s how its spelt) they are a strange and beautiful concoction of several different fruits, I love them. My you are brave! I hope it doesn’t contain a poison as well .. though I suppose you’d know by now!! the fruit is beautiful. What a great discovery. I think this fruit belong to Maracuja family….I have seen these flowers in the nursery, but not tried this fruit. Yes, the flower and inside definitely look like passion fruit but I don’t recognise the outside. I have only seen this looking kind of dark and shrivelled, so yours must be really fresh. In Brazil this fruit is known as maracuja and makes great juice. Looks like a loquat to me. They’re wonderful – and your post reminds me that I haven’t had any in years! Looking forward to the right response…one day maybe? I’ve never seen anything like that, I would love to try it! It , by now, appears to be passiflora… but what does it taste like… it looks like raspberry – but it tastes like…??? Great sharing. I love finding things, too… I once found a long white raspberry-like fruit that was basically clear and transparent and tasted like sweet crisp spring water and it was fruit from what was called here (Bosnia) a DUDE tree. Eventually, I learned it was a Mulberry Tree fruit and I guess I got one on the perfect day at the perfect moment, as they go bad very very quickly and are seen as garbage most places. I do not understand why. I ate it right from the tree as it fell into my hand. Heaven! Looks delicious and just like a package that offers new delights as it is unwrapped. Wow, it’s like a mixture of three fruits in one. Glad to see you’ve posted again since this one so it didn’t kill you! Blue Crown (Passiflora caerulea) Its blue, black, white flowers smell minty, and are self fertile producing distinct orange fruit with red pulp. Fruits are not very palatable fresh but can be combined with other foods and juiced to add an interesting flavor. The flavor is somewhat berry like. Thank you so much Murasaki. C’est des fruits de la passion, Joumana. 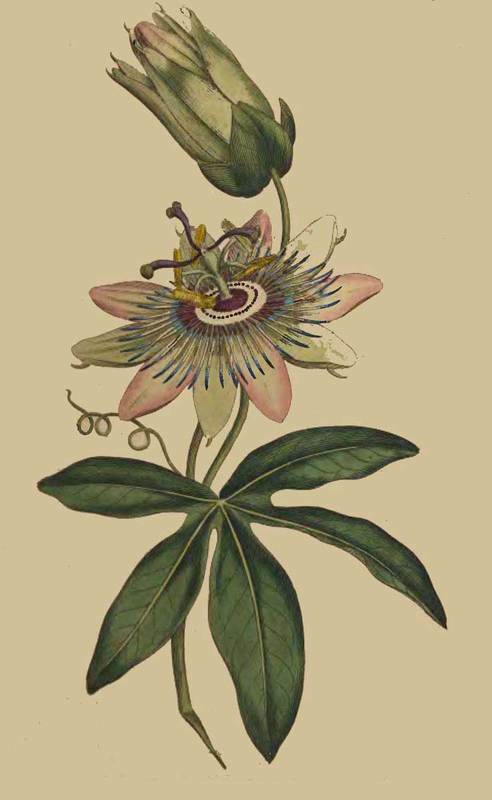 Its mostly known as the common passion flower. Here is a sketching of the plant. hope it helps!! you have a passion flower .the fruit is a variety off the passion fruit. (grenadine) or as we call it, Parcha in Puerto Rico! Fruit de la passion, délicieux. Même chose que maracuja en Afrique ? Que d´exquises boissons faites avec ces fruits ! its a lilikoi or passion fruit. 2 kine lilikoi. this one and all yellow with super hard skin. think this one is claimed to be ono or the best. Melrose, you are absolutely right! This is a passion flower. So nice to have this beautiful flower in your garden! yum-yum, passion fruits! I like to photograph the blossoms-they are such a beauty!